With production officially underway on the eagerly awaited Joker origin movie starring Joaquin Phoenix as the Clown Prince of Crime, director Todd Phillips took to Instagram on Sunday afternoon to reveal a rather interesting first look at Phoenix in character as the infamous DC villain. “Arthur,” reads the caption for the photo, which shows Phoenix free of any outlandish clown makeup or whacky-looking dyed hair, unlike Jared Leto’s iteration of the character. Instead, Phoenix’s version looks pretty normal for the most part, sporting a relatively lengthy haircut and a green jacket over a white button-up shirt. 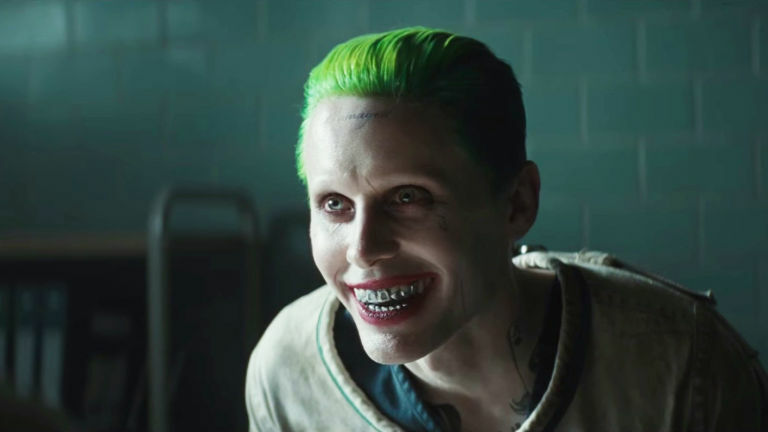 The film, which is simply titled Joker and was co-written by Phillips alongside Scott Silver, “centers around the iconic arch nemesis and is an original, standalone story not seen before on the big screen. Phillips’ exploration of a man disregarded by society is not only a gritty character study, but also a broader cautionary tale,” according to the official logline. Joker, which is being produced by Emma Tillinger Koskoff with Richard Baratta executive producing, is said to have a production budget of only $55 million, a fairly modest number compared to most other comic book movies. Zazie Beetz, Marc Maron, and Robert De Niro are all expected to star opposite Phoenix in the film, which will hit theaters October 4, 2019. You can check out the first look image below.